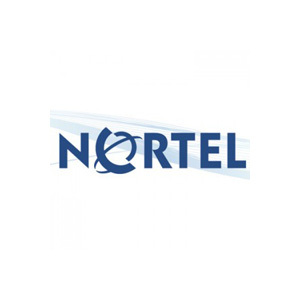 Nortel is strengthening its data delivery tools with the line of RD-6 microwave radios designed to boost a wide range of service provider network deployments. Each complete system is customizable to ensure you get the network support you need from core to remote locations and some edge operations. The RD-6 represents a good mid-range microwave radio system from Nortel and is still in high demand, despite Nortel’s financing problems. This means many used units are on the market but maintenance and support for them is unavailable — unless you work through a partner like Worldwide Supply. Not only do we have the used Nortel RD-6 radios your network needs, but we can also fill the OEM gap by providing comprehensive support and coverage for your equipment. All of the refurbished Nortel RD-6 microwave radio systems we sell can be covered by our exclusive NetGuard maintenance program, which provides a broad and comprehensive alternative to OEM. By joining our program, you can deliver maintenance support and coverage to your entire network across all products secured through Worldwide Supply. Bottom line? You can buy what best fits your network, regardless of OEM, and still have a single plan of coverage. We offer up to 90% cost savings compared to some OEM plans and provide 24×7 technical support on all used Nortel RD-6 systems and any other system we offer. Ask a specialist about our global service centers or learn more today.